This site forms the interactive part of VB's web presence — on this site you can purchase tickets for the VB conference, participate in conference surveys, submit an abstract for the VB conference (when a call for papers is active) and more. 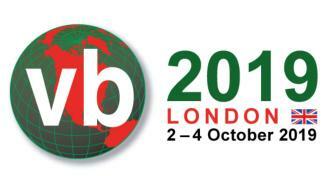 The call for papers for VB2019 has now closed. The programme will be announced in early April 2019. A call for last-minute papers (for presentations dealing with emerging issues and hot topics) will be issued in late summer 2019. Registration for VB2019 is now open.